"Nice hotel, good value for money." 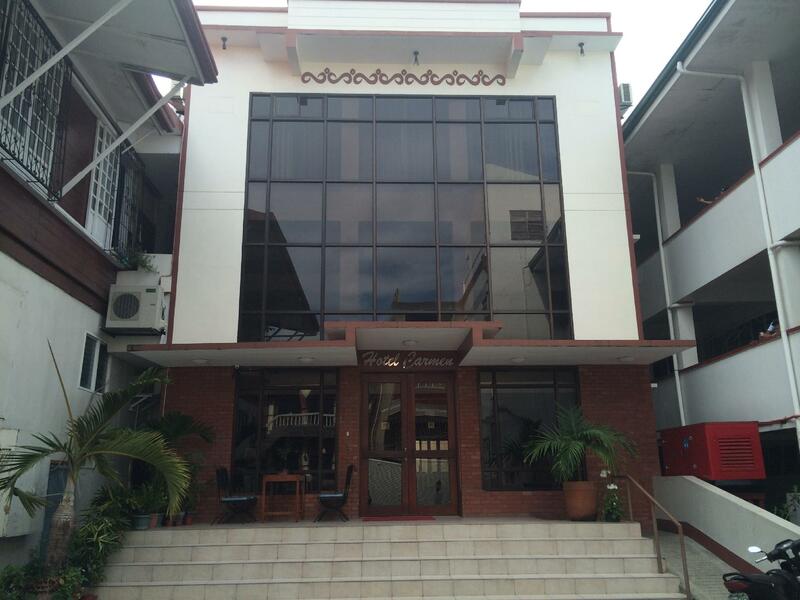 Have a question for Hotel Carmen at NVC? 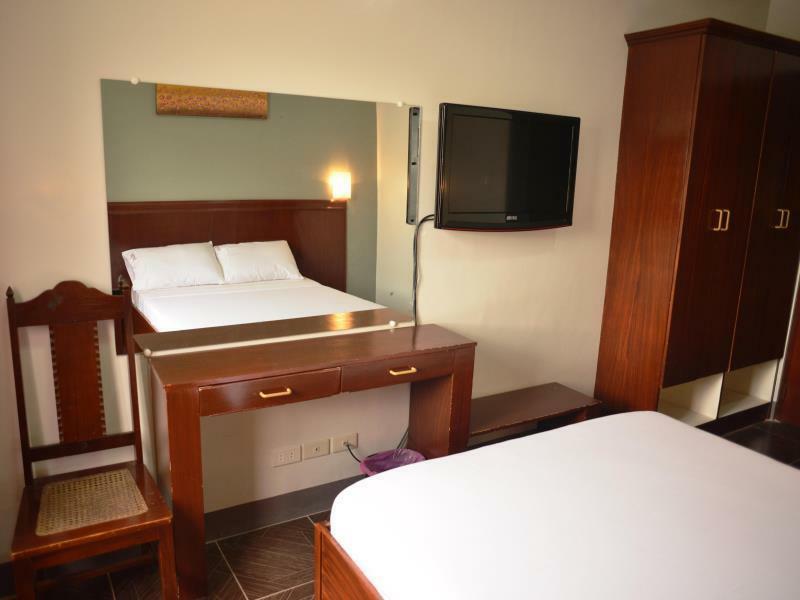 Built in 2012, Hotel Carmen at NVC is a distinct addition to Kalibo and a smart choice for travelers. Only 2 km away, this 2-star hotel can be easily accessed from the airport. No less exceptional is the hotel's easy access to the city's myriad attractions and landmarks, such as Aklan Museum, Kalibo Cathedral, Museo it Akean. 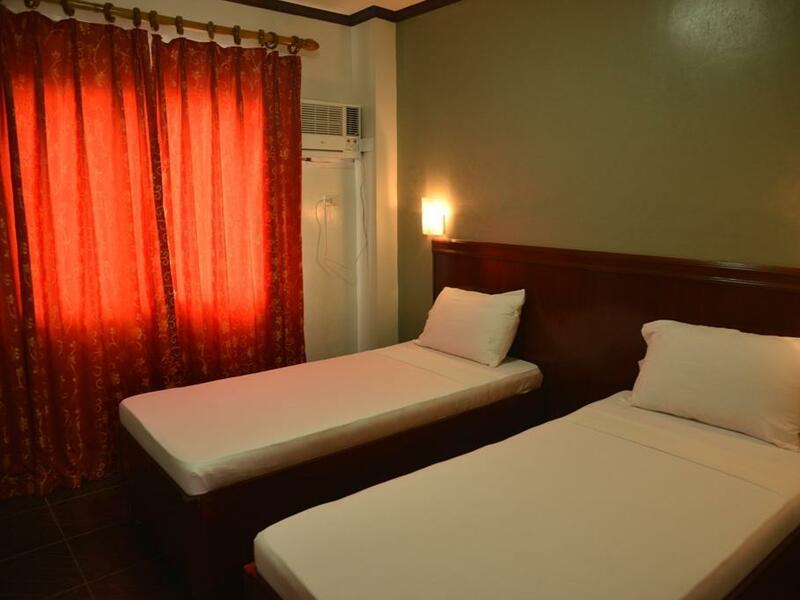 Hotel Carmen at NVC also offers many facilities to enrich your stay in Kalibo. The hotel provides free Wi-Fi in all rooms, Wi-Fi in public areas, car park, airport transfer, laundry service to ensure our guests the greatest comfort. All guest accommodations feature thoughtful amenities to ensure an unparalleled sense of comfort. The complete list of recreational facilities is available at the hotel, including massage. 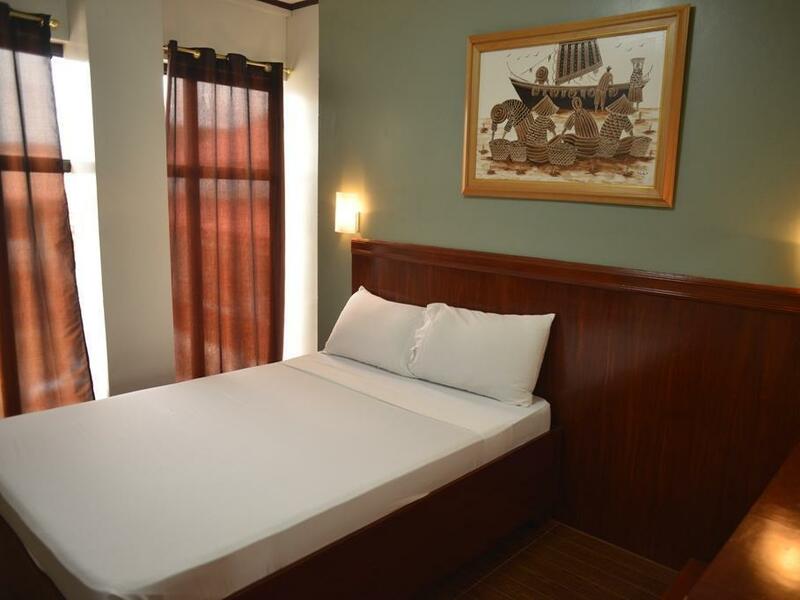 Hotel Carmen at NVC is an ideal place of stay for travelers seeking charm, comfort and convenience in Kalibo. The hotel is very clean but the toilet and the door know is not well maintained. Water was dripping. Had to call the staff to open the door for us due to doorknob malfunction. The staff were primarily students that were studying their trade through hands-on training with the attached college. They were hard working, dependable and went out of their way to make our stay as enjoyable as possible. The breakfast was fantastic! No problems maybe slightly over priced. This hotel is good for an overnight stay since it is in the town. Need to ride tricycle for P8.00 to go to nearest mall. Walking distance to a supermarket. Got the twin bed with bathtub but can't use the tub since the drinage is full of hair from other guest which clogs it. Had to use a stick to declog the hairs. And some part has already yellow part. Guess they don't really scrub the tub. Though the bed room is nice. Pros: Located at the centre of the town. Near cathedral. 1 ride to market. Quite location. Staff are nice and friendly. Accessible to public transportation. There's smoking area at the lobby. Free parking space. Cons: They don't serve meal other than breakfast. But you can buy drinking water and juice anytime. Limited choices on breakfast. No alcoholic beverages available. There are no 24 hrs establishments around. You need to take tricycle to go to the nearest fast food or better yet stock some food. We've stayed in the room with broken faucet. but its ok, the water is still flowing. We've stayed in this hotel for 3 nights. You can ask the staff incharge if you need directions. Overall, our stay is fine. This is a value for money hotel. There's no high rise hotel in the area, This is one of the best hotel during ati-atihan festival. Stayed for 2 nights. Thought that it would be straightforward to find, but really struggled, possibly due to google maps being misleading. For breakfast, hotel issues a voucher for a breakfast (choose from menu) at a nearby dive shop/cafe on the beach. Breakfast was fine, although annoying that although I had booked and (compulsorily) paid for a double room through agoda, they gave me only 1 voucher per day. Staff otherwise helpful enough. Room, aircon, bathroom, shower, cleanliness etc OK. But room door opens directly on to the street (hence the 1-star rating), and the locking mechanism was very awkward and time consuming. The room contains a safe which has a very old (1980s ?) design, with no display or other mechanism to confirm your choice of code, not does it permit you to cancel part way through the locking process. So locking and unlocking is somewhat nerve-wracking. Anyway I apparently entered an incorrect code. The hotel uses an outside agency to unlock, which adds security but which also takes time, as they cannot come until the following morning. I had (just) enough money in my pocket, and did not have an early flight the next day, but I could have had a real problem. So I really cannot recommend this hotel at all, except in an emergency. Room was clean, breakfast are good. Nice location to city and airport. We did not expect much from the hotel since it's a laboratory school of NVC, however, we were pleasantly surprised that it was well maintained, clean, and the staff gracious and attentive..the curtains in the room though are rather flimsy and your silhouette is quite visible from across the street when the room is lit. 1. We were in Kalibo during the Ati-Atihan festival and there is no better location for viewing and participating. Located near the epicenter of the Ati-Atihan festival in Kalibo, professionally run hotel with well-trained friendly staff. Can't think of anything good to say. Centrally located; quiet and easy to locate. It was good. I am satisfied.